IBM (NYSE:IBM) and Red Hat (NYSE:RHT) jointly announced today that IBM would be acquiring Red Hat in a deal valuing the company at $190 per share, representing a staggering almost 63% premium on Red Hat’s closing price Friday. This puts the enterprise linux distributor at a valuation of approximately $34 billion dollars making it one of the largest technology acquisitions in history. The acquisition of Red Hat is a game changer. It changes everything about the cloud market. IBM will become the world’s #1 hybrid cloud provider, offering companies the only open cloud solution that will unlock the full value of the cloud for their businesses. Both companies’ boards have approved the deal but it is of course subject to shareholder and regulatory approvals with the acquisition expecting to close in the second half of 2019. The statement goes on to predict that the deal will accelerate IBM’s revenue growth, margin and free cash flow within one year of closing. IBM also maintains its commitment to a “solid and growing dividend”, a disciplined financial policy and maintaining its investment grade credit rating. IBM notes that it has ample cash, credit and bridge lines with which to finance the acquisition and that it intends to finance the deal through a mix of cash and debt. IBM is a lot less of a disruptor these days than it has been in the past. The somewhat revered old man of the technology world, it has been a leader in the past but has struggled for relevance in recent times. Earnings reported on the 16th disappointed and since then the share price has shed 14%. Accelerating IBM’s revenue growth will be an interesting trick since IBM’s revenue isn’t growing and at last earnings had suffered a year on year drop of 2%, so it’s more like turning it around than speeding it up. Red Hat meanwhile reported its earnings back in September which were also disappointing and its share price has dropped 19% since then. 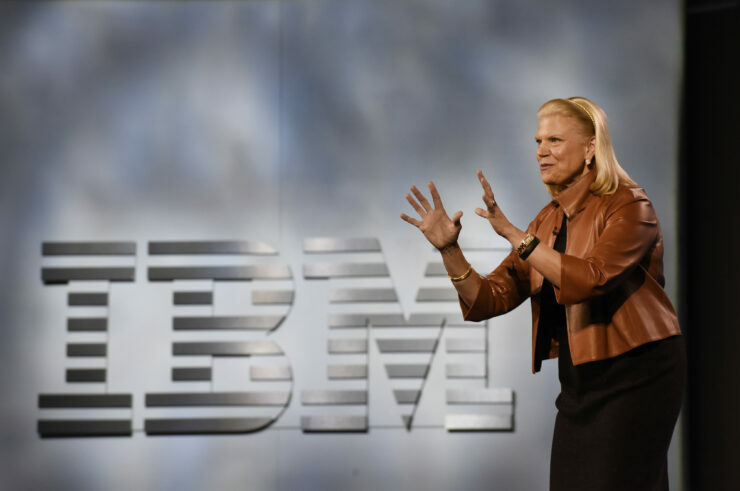 IBM will suspend its share repurchase program in 2020 and 2021 to maintain an appropriate leverage ratio on the books but it’s fair to say that this is probably the most audacious move the company has undertaken in a long time. As we’ve reported in the past, we expected to see a significant increase in mergers and acquisition activity in the wake of President Trump’s corporation tax repatriation holiday and indeed IBM was one of the beneficiaries of that plan given it had a sizeable overseas cash pile. It’s probably both a tacit admission that the company can grow faster with younger, nimbler innovators than without them so it seems like there is business sense to the deal. Red Hat will become a unit of IBM’s Hybrid Cloud division while its CEO Jim Whitehurst will report directly into IBM CEO Ginni Rometty who apparently has no plans to go anywhere.